Oshi is a licenced online casino where you can gamble on Fiat currency and Bitcoin. Oshi has made sure to provide exceptional gaming experience by collaborating with Softswiss, which is considered one of the leading software platform providers in online gaming. 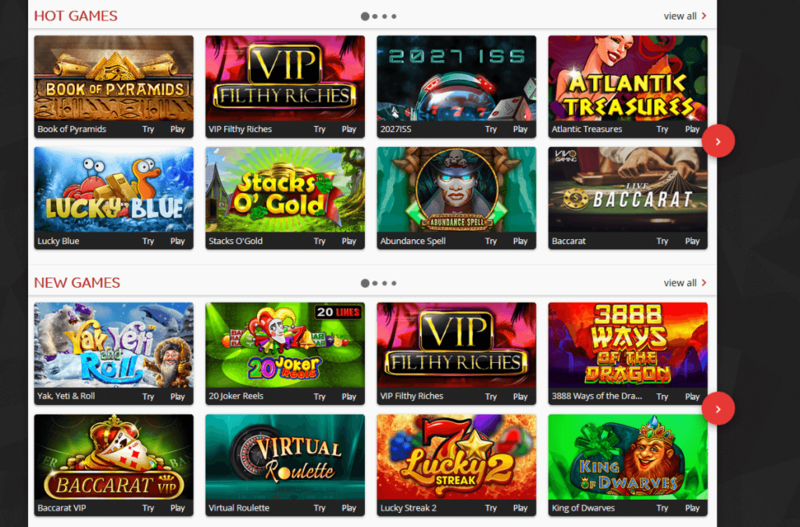 By combining Oshi’s unique game search functionality and Softswiss’s excellent platform technology, they are able to offer players an excellent online crypto casino. They also believe strongly in responsible gambling, that is why they have a number of projects that can prevent people from going ‘’over the edge’’, like deposit limits and session limits as well. Gambling should be fun and entertaining and not cause you any frustration, that’s why they made sure you always have the option of stopping at any time. At Oshi they strongly support the notion of fair play, that’s why all the games that are provided by BGaming are provably fair. This basically means that through the use of special algorithms and analysis there is verified fairness from the side of the service operator. You can deposit and withdraw through Bitcoin in the following countries: Australia, Austria, Belarus, Belgium, Bulgaria, Canada, Croatia, Czech Republic, Denmark, Finland, Germany, Hungary, Iceland, Ireland, New Zealand, Norway, Poland, Portugal, Russia, Sweden, Switzerland, Ukraine. Oshi does not provide services to clients from France, USA, UK, Spain, Netherlands and Israel. After you have registered, you can check all the available payment providers and currency options for you. 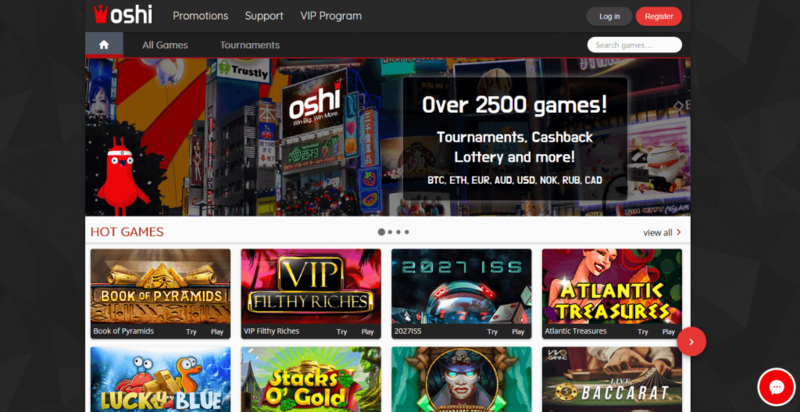 As a respectable Online Casino, Oshi really values your feedback, that is why they are always happy to hear from you, whether you have some inquiry, or facing an issue on the platform or even just to see how you are doing. In case you need any assistance you can contact the 24 hour support team either on the chat channel (Live Help) which is located on the bottom right or you can also send an email to [email protected]. 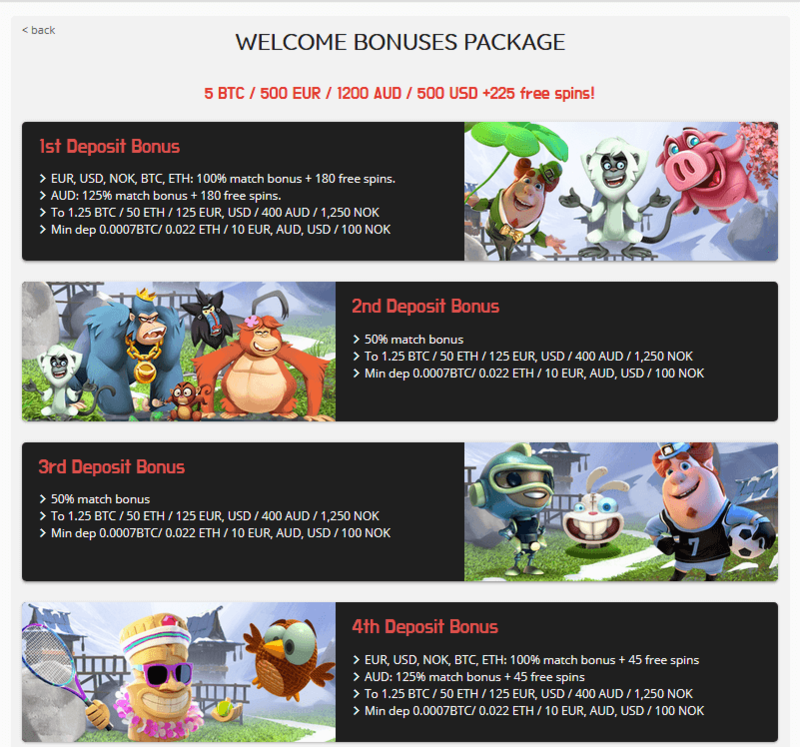 To check out some other great offers see more crypto casino reviews here.